Beats All Broadcast and Cable Networks by Wide Margins — Again. In Prime 8p-11p, CNN delivered the highest DNC Wednesday performance on record (back to 1996) in cable news among total viewers. Last night during primetime (8-11pm), CNN ranked #1 in cable news with 5.010 million total viewers, +24% more than second place MSNBC’s 4.025 million and +83% more than Fox News’ 2.739 million. Among adults 25-54, CNN also ranked #1 with 1.625 million, MSNBC followed with 1.064 million and Fox News’ lagged far behind with 611k. Among younger viewers 18-34, CNN also was top rated with 442k, MSNBC had 290k and Fox averaged 130k. Compared to the Wednesday night of the DNC 2012 (September 5), CNN is up by +72% in total viewers (5.010 million vs. 2.919 million 2012) and is up an impressive +69% among adults 25-54 (1.625 million vs. 962k 2012) during primetime. CNN has overtaken MSNBC to rank #1 in both total viewers and adults 25-54 this year vs 2012 when MSNBC was ranked first on the Wednesday night of the DNC. 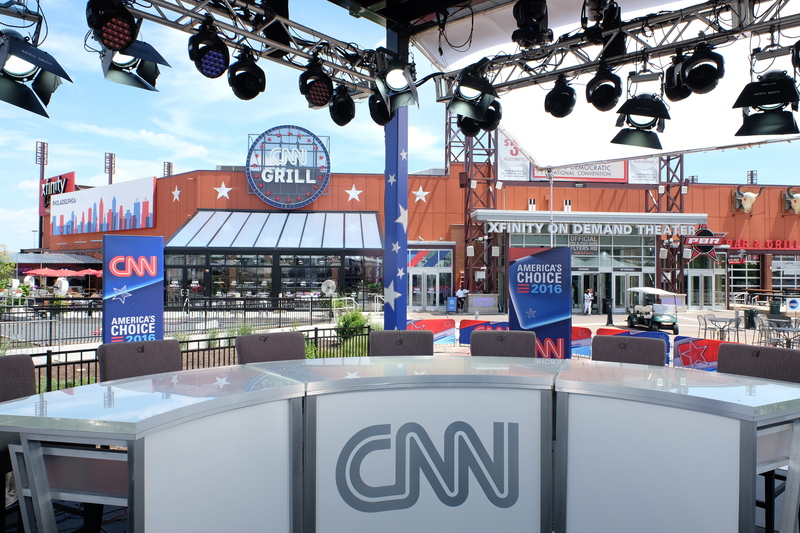 CNN Digital’s 2016 DNC Convention performance continued to far outpace both the 2008 and 2012 DNC conventions with video starts up triple-digits versus the 2012 DNC. CNN had another day at 17 million unique visitors along with 11 million video starts on desktop and mobile devices. CNN Politics also saw an audience of 6 million unique visitors and 5 million video starts, up triple and quadruple digits versus the 2008 and 2012 DNCs. And CNNgo’s performance continued to outpace the number of live starts seen during the 2016 RNC Convention in Cleveland, with double-digit percentage increases across mobile and off-platform devices.